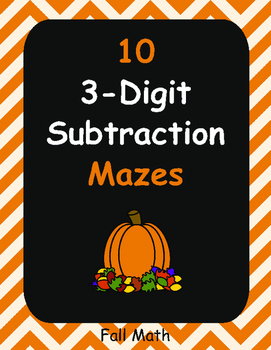 Fall Math: 3-Digit Subtraction Maze. 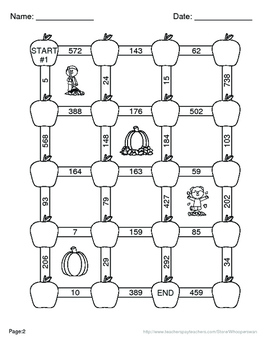 Package contains 10 Mazes. 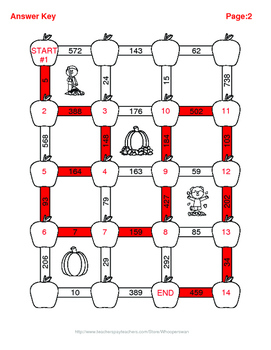 Each maze contains 14 problems. 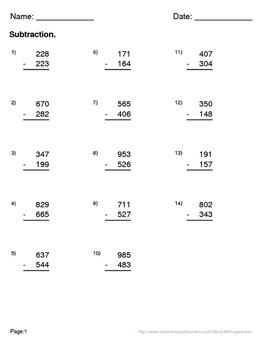 Please CLICK HERE to view other FALL MATH products!